Each school has its own unique needs. I believe in customizing professional development to each school's unique situation. 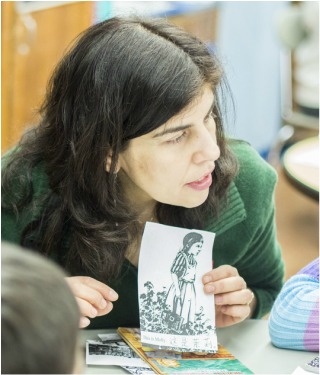 I began my work in education as a dual language classroom teacher and have continued to sustain rich connections to schools throughout my time as a teacher educator. I assist schools in reaching their goals for emergent bilinguals as a consultant and a professional developer. I help schools develop programs and strengthen instruction for emergent bilinguals in dual language bilingual and in English as a New Language (ENL) programs. I have worked with school principals in New York City, Nassau, Suffolk, Rockland, and Westchester counties. In this role, I have assisted and supported school leaders to analyze the programming and instruction for emergent bilinguals at their schools. Part of this work includes developing short-term and long-term plans to support emergent bilingual students at their schools. Work with teachers is critical to school change. I have been both a mentor to new teachers and an instructional coach to veteran teachers. My work consists of model lessons, co-teaching, co-planning, and professional development sessions. I have assisted teachers with inquiry about individual students, lesson planning, unit planning, data analysis, and assessment development for emergent bilinguals. From 2012-2016, I was an Associate Investigator for the City University of New York New York State Initiative on Emergent Bilinguals (CUNY-NYSIEB). In this position, I worked closely with school principals and teachers to implement programming and instruction that incorporated translanguaging strategies. Click on the following to see me present about assessment practices with emergent bilinguals at a CUNY NYSIEB seminar.